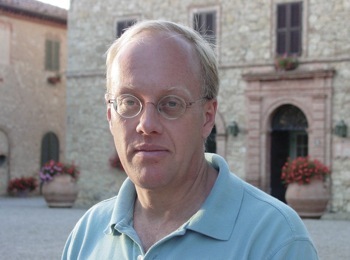 Last Thursday Chris Hedges opened a team debate at the Oxford Union at Oxford University with this speech arguing in favor of the proposition "This house would call Edward Snowden a hero." The others on the Hedges team, which won the debate by an audience vote of 212 to 171, were William E. Binney, a former National Security Agency official and a whistle-blower; Chris Huhne, a former member of the British Parliament; and Annie Machon, a former intelligence officer for the United Kingdom. The opposing team was made up of Philip J. Crowley, a former U.S. State Department officer; Stewart A. Baker, a former chief counsel for the National Security Agency; Jeffrey Toobin, an American television and print commentator; and Oxford student Charles Vaughn. The American Army pilot Hugh Thompson had moral courage. He landed his helicopter between a platoon of U.S. soldiers and 10 terrified Vietnamese civilians during the My Lai massacre. He ordered his gunner to fire his M60 machine gun on the advancing U.S. soldiers if they began to shoot the villagers. And for this act of moral courage, Thompson, like Snowden, was hounded and reviled. Moral courage always looks like this. It is always defined by the state as treason -- the Army attempted to cover up the massacre and court-martial Thompson. It is the courage to act and to speak the truth. Thompson had it. Daniel Ellsberg had it. Martin Luther King had it. What those in authority once said about them they say today about Snowden. "My country, right or wrong" is the moral equivalent of "my mother, drunk or sober," G.K. Chesterton reminded us. So let me speak to you about those drunk with the power to sweep up all your email correspondence, your tweets, your Web searches, your phone records, your file transfers, your live chats, your financial data, your medical data, your criminal and civil court records and your movements, those who are awash in billions upon billions of taxpayer dollars, those who have banks of sophisticated computer systems, along with biosensors, scanners, face recognition technologies and miniature drones, those who have obliterated your anonymity, your privacy and, yes, your liberty. There is no free press without the ability of the reporters to protect the confidentiality of those who have the moral courage to make public the abuse of power. Those few individuals inside government who dared to speak out about the system of mass surveillance have been charged as spies or hounded into exile. An omnipresent surveillance state -- and I covered the East German Stasi state -- creates a climate of paranoia and fear. It makes democratic dissent impossible. Any state that has the ability to inflict full-spectrum dominance on its citizens is not a free state. It does not matter if it does not use this capacity today; it will use it, history has shown, should it feel threatened or seek greater control. The goal of wholesale surveillance, as Hannah Arendt wrote, is not, in the end, to discover crimes, "but to be on hand when the government decides to arrest a certain category of the population." The relationship between those who are constantly watched and tracked and those who watch and track them is the relationship between masters and slaves. Those who wield this unchecked power become delusional. Gen. Keith Alexander, the director of the National Security Agency, hired a Hollywood set designer to turn his command center at Fort Meade into a replica of the bridge of the starship Enterprise so he could sit in the captain's chair and pretend he was Jean-Luc Picard. James Clapper, the director of national intelligence, had the audacity to lie under oath to Congress. This spectacle was a rare glimpse into the absurdist theater that now characterizes American political life. A congressional oversight committee holds public hearings. It is lied to. It knows it is being lied to. The person who lies knows the committee members know he is lying. And the committee, to protect their security clearances, says and does nothing. These voyeurs listen to everyone and everything. They bugged the conclave that elected the new pope. They bugged the German Chancellor Angela Merkel. They bugged most of the leaders of Europe. They intercepted the talking points of U.N. Secretary-General Ban Ki-moon ahead of a meeting with President Obama. Perhaps the esteemed opposition can enlighten us as to the security threats posed by the conclave of Catholic cardinals, the German chancellor and the U.N. secretary-general. They bugged business like the Brazilian oil company Petrobras and American law firms engaged in trade deals with Indochina for shrimp and clove cigarettes. They carried out a major eavesdropping effort focused on the United Nations Climate Change Conference in Bali in 2007. They bugged their ex-lovers, their wives and their girlfriends. And the NSA stores our data in perpetuity. I was a plaintiff before the Supreme Court in a case that challenged the warrantless wiretapping, a case dismissed because the court believed the government's assertion that our concern about surveillance was "speculation." We had, the court said, no standing ... no right to bring the case. And we had no way to challenge this assertion -- which we now know to be a lie -- until Snowden. In the United States the Fourth Amendment limits the state's ability to search and seize to a specific place, time and event approved by a magistrate. And it is impossible to square the bluntness of the Fourth Amendment with the arbitrary search and seizure of all our personal communications. Former Vice President Al Gore said, correctly, that Snowden disclosed evidence of crimes against the United States Constitution. We who have been fighting against mass state surveillance for years -- including my friend Bill Binney within the NSA -- made no headway by appealing to the traditional centers of power. It was only after Snowden methodically leaked documents that disclosed crimes committed by the state that genuine public debate began. Elected officials, for the first time, promised reform. The president, who had previously dismissed our questions about the extent of state surveillance by insisting there was strict congressional and judicial oversight, appointed a panel to review intelligence. Three judges have, since the Snowden revelations, ruled on the mass surveillance, with two saying the NSA spying was unconstitutional and the third backing it. None of this would have happened -- none of it -- without Snowden. Snowden had access to the full roster of everyone working at the NSA. He could have made public the entire intelligence community and undercover assets worldwide. He could have exposed the locations of every clandestine station and their missions. He could have shut down the surveillance system, as he has said, "in an afternoon." But this was never his intention. He wanted only to halt the wholesale surveillance, which until he documented it was being carried out without our consent or knowledge. No doubt we will hear from the opposition tonight all the ways Snowden should have made his grievances heard, but I can tell you from personal experience, as can Bill, that this argument is as cogent as the offer made by the March Hare during the Mad Tea Party in "Alice in Wonderland."